A postiche, also called a topper, is a small hair system or hair piece that clips into your own hair to give your hair more fullness and coverage. 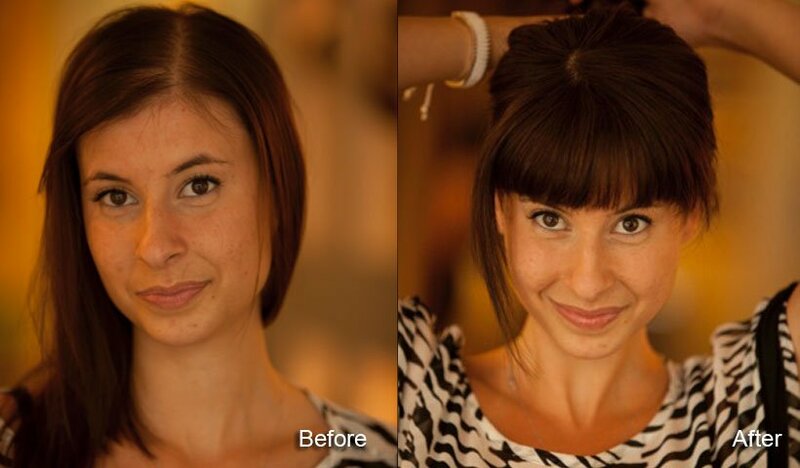 It can be ver small so as just to fill in your bangs, or larger if you have more acute hair loss. The postiche sits on top of your own hair and is secured with ‘comb clips’ which snap on some of your own hair. It is secure and will not fly away even during a workout. The postiche design at Continental Hair is unique in that it is the result of decades of refinement and improvements but it has never lost the one characteristic that makes it look so good: natural virgin, unprocessed hair. This quality hair is the only type that is fine enough and natural enough to blend properly with your own. Since this is the hair that someone else will see it has to be of the most natural quality. This means it is also important to make sure that the colour blend is perfect and that the style is how you want your hair to look. That is why these are custom made. Many times with an impression of the top of your head ensuring that everything is perfectly fitted and designed for you. The reason that this is such successful design is that it uses the most natural hair and not a lot of it. The postiche usually lasts about 2-3 years of everyday wear. You usually wash it every 3 -4 weeks. This can be done by yourself or the salon but you must be instructed in how to do this properly. Hot tools and styling products are encouraged as they enhance the enjoyment of your hair. The manufacture takes 8 – 10 weeks. Our prices start at $2700 and go up according to length and colour. Our average price is between $3000 – $3500 plus taxes. All styling and colour work in the initial fitting is included, as are any alterations for the first month of wear. Daily wear – you take it off and put it on. No maintenance fees, you can maintain it yourself. Daily wear – you can’t wear it for weeks at a time. Custom made – you have to wait for it to be made for you. Only enhances your look – a postiche cannot give you a lot more length, it is not an extension. It can only give you more of the look you already have. Continental Hair is very proud of this design and has women from all over the world that love it too.